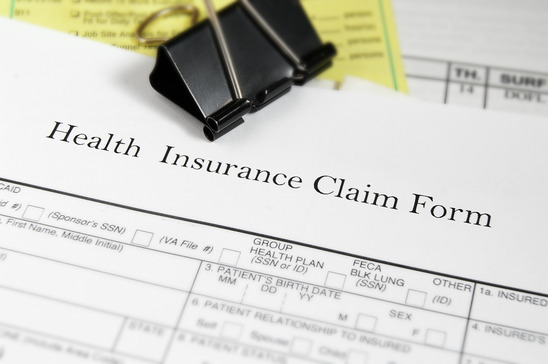 Getting your claims for reimbursement denied by insurance companies is never a fun experience, especially if you are a physician of a busy medical practice. But what physician doesn’t have their hands tied. Every medical practice is busy in one way or another. Applied Medical Systems is here to make sure you get the revenue your practice deserves, while allowing you and your staff to attend to patients and provide quality medical care they deserve. Denials of medical reimbursement claims can occur because of a number of different reasons. Here are some of the most common reasons claims are denied. These among other simple reimbursement claim errors can cause major problems when it comes to maintaining a solid revenue stream. One of the easiest ways to make sure your practice receives the reimbursement due is to reduce errors and mistakes on the initial filing of claims. This is easier said than done and can take many staff hours to make sure it is done correctly. With office staff concerned with many other tasks, it can sometimes be downright impossible. Applied Medical Systems can help you and your practice conquer. Our staff is experienced and skilled in the process of filing medical reimbursement claims. Our staff members are trained and specialize in medical billing and coding. They are not concerned with other tasks, like your office management staff may be, and they can reserve complete focus to filing your claims with over 95% accuracy. Denials do sometimes happen. If you are involved in a busy practice many times these denied claims can get tossed to the wayside and forgotten about. At the end of the year, this could mean thousands of dollars that your practice has lost. Applied Medical Systems can make sure that money your practice earned is not left on the table. The denial appeals process can be complicating and frustrating. Our staff members are very educated in the appeals process and can provide quality appeals service throughout the duration of the claim’s filing procedure. The appeals process usually involves three main procedures. Our staff will make sure that all these tasks are done efficiently and with precision. For more information about our claims denial management or other practice management solutions, contact us at our Durham, NC office.